1. Sometimes you decide to delete one or more pictures you think are ugly. Then, you inadvertently select 'Clear all' instead of 'Deleted One', and lose all your pictures. 2. By mistakenly formatting your Sony camera memory card, and deleting all your pictures from your camera, such as the Sony DSC TX7C. 3. After transferring all of the images from your Sony camera to a computer, to then immediately delete all the pictures from your Sony camera. However, you then notice that these pictures weren't fully transferred to the computer, but you already emptied the Sony camera memory. It's a pity that cameras aren't like computers. 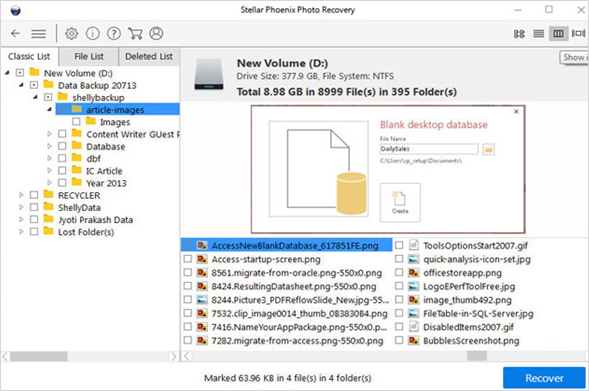 After deleting pictures, you can recover any of them form your recycling bin. 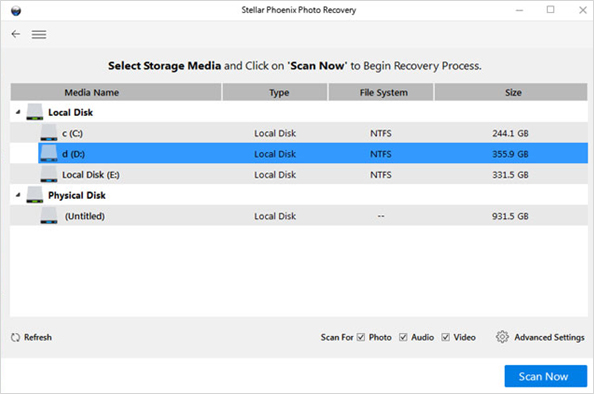 Of course, this doesn't mean that there's no way to recover pictures from Sony cameras. A photo recovery tool of a perfect quality can achieve the same result and bring back your lost pictures. My humble recommendation: Photo Recovery is a good program that allows you to recover Sony camera pictures, no matter the reason why you lost them, be it due to deletion, formatting or otherwise. It only takes 3 easy steps. To be able to get the best results from your Sony camera photo recovery, we advise you to stop using that camera right away. Please, don't take any new pictures with it before using the Sony photo recovery to avoid overwriting the lost pictures. Overwriting will mean those pictures will be irretrievable. Step 1: Download, install and start this Sony Camera Photo Recovery software. Select the media drive and click on the “Scan Now” button.